Bitcoin prices reached nearly $20,000 in 2017, leaping from the hundreds seemingly overnight. The surge has more people asking about this cryptocurrency, how to use it, and, most importantly, how to get it? Bitcoin is a type of cryptocurrency, an online, decentralized currency with no physical tokens. Such currency is built on blockchain, which is a newer way for the Internet to record transactions. Many compare it to a google doc because it’s a public ledger of sorts where everyone can see that Joe paid Mary 2 Bitcoin (BTC). Those transactions don’t have to be monetary. To keep Bitcoin, you must supply an online address where it will be sent, and a wallet to store it. “If you own any cryptocurrency, what you really have is the private key (basically just a long password) to its address on the blockchain,” as Lifehacker explained. Bitcoin software became available to the public in 2009, and that’s when mining began. “Mining” is “the process through which new Bitcoins are created and transactions are recorded and verified on the blockchain.” Bitcoin was first traded in 2010, but in exchange for two pizzas. In 2013, the price per Bitcoin had reached $1,000, but it crashed shortly after. The prices have since bounced back to reach more than $10,000 per; no doubt the person who traded 10,000 Bitcoin for dinner is kicking himself. In theory, anyone with the knowledge and equipment can mine Bitcoin; that and its limited supply have many comparing it to gold mining of the 1800s. Unlike the days of old, we are not talking physical mining, but solving an encryption or computer puzzle to obtain a coin. However, every time a coin is obtained in this manner, the encryption algorithm becomes more complex. That means each new coin requires a higher amount of computing power to break it. The reason for this is to limit the number of coins in circulation. There are and will ever only be 21 million Bitcoins, virtually guaranteeing that the coins will never decrease in value. In the early days, companies and individuals gained great success using the processing power from standard personal computers. When the encryption became too complex for computers to accomplish, people used the processing power of their video cards to mine. Today, the process is complicated, and requires a massive amount of hardware. Companies and even governments now invest millions to create server farms where they mine Bitcoin. China started mining around 2012, significantly increasing the complexity of each puzzle due to their massive amount of computing power dedicated to mining operations. Today, more electricity is being used to mine cryptocurrency than is used by many cities. This is often the largest cost involved with mining operations. Countries like Venezuela have electricity so inexpensive and an economy in shambles, making Bitcoin mining a profitable, yet illegal, activity. Some people join the Bitcoin mining game by joining a pool. Pools share computing hardware across a semi-private network. Once a coin has been obtained, the proceeds of the coin are split among those inside the pool. As Bitcoin and similar currencies increase in price, this practice begans to make sense. The amount of Bitcoin miners earn per block changes, automatically halving until reaches the 21 million mark. In 2009, mining one block would earn you 50 BTC. In 2012, you earned 25 BTC. As of 2016, it was 12.5 BTC. According to the Bitcoin clock, that will reduce by half again in 2020. As of December 2017, there were more than 16 million Bitcoins in circulation. However, some estimate that thousands or even tens of thousands of Bitcoins are lost forever due to the way Bitcoin wallets are set up. In the early days, Bitcoins were worth less than a penny each, and people who lost track of their passkey now can’t access their money. Those who don’t to mine Bitcoin can buy and trade it like any stock or commodity. Banks are now considering ways to work with Bitcoin, including Barclays, CitiBank, Deutsche Bank, and BNP Paribas. What Happens When Bitcoins Run Out? As more people try Bitcoin mining, the Bitcoins run out faster. Experts estimate all 21 million will be gone as early as 2050, though some say it will be far as 2100 or so. Like in many cases, as the Bitcoin supply runs out, the currency will become more valuable. But will this cause a problem? For comparison, as of late 2017, there were $1.59 trillion U.S. dollars in circulation. However, like U.S. dollars, Bitcoins can be divided, though far more than a dollar; you can divide it up to eight decimal places. While the supply is limited, some argue Bitcoin holders will always want to sell. After all, Bitcoin is currency. At some point, you want to spend your money. People often compare Bitcoins to gold, which we used for millennia as the basis of our currency. Will Bitcoin stand for even the next hundred years? Many experts say it won’t. More than 1,000 cryptocurrencies exist with varying success and use. Ethereum and Ripple are two that have seen a surge in the last year. Bitcoin has been the most successful to date, but with new ones emerging every day, to succeed, it would have be regaled by the masses as the “main” form. In addition, Bitcoin itself requires several software updates that may split the community of users and affect its value. 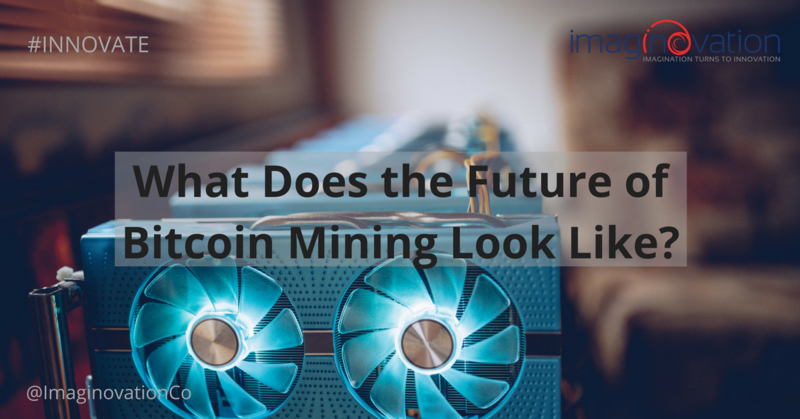 In addition to earning Bitcoin for their work, miners also earn transaction fees, but some speculate that won’t be enough to keep people interested. Meanwhile, the blockchain technology behind Bitcoin is revolutionizing the financial industry — and is just getting started. As we march toward a completely cashless society, experts disagree about the approach of decentralized currency. Without government backing, the value of Bitcoin or any other such currency could fall to zero. However, the technology is certainly going to continue changing our society in ways we can only guess at now — whether Bitcoin itself stands a chance.